Twenty-three years ago, my wife and I were fortunate to find and purchase an incredible piece of property in Central Wisconsin, on Goose Lake, in Adams County. For many years, we focused on preserving the old oak forest, wetlands and farmland on our property. But, a few years ago, the Goose Lake Watershed District (GLWD) was formed, which has the authority to levy a small amount of taxes to use to care for and preserve the lake. After attending the first 2 annual meetings, I was elected the Chair of the GLWD, as I recognized that preserving the diverse ecology of Goose Lake required working with my neighbors through this small government authority. We have done many good things together, including purchasing our own used weed harvester, improving the public boat landing and beach, and in 10 days, we will stock the lake with about 3000 young fish. However, one dangerous eyesore remains. About 40 years ago, when a corner of the lake was developed with vacation homes, the developer placed ownership rights of a small island on every deed of the adjoining properties. The developer also built a wooden boardwalk and footbridge to the island. Unfortunately, these 20+ island owners have never been able to coordinate the upkeep of the bridge and so it has fallen into a dangerous state of disrepair. For the past couple of years, the GLWD has been exploring many possibilities to deal with this dilapidated and dangerous bridge. We have stayed in regular communication with the island owners, sought legal advice, and held public meetings to make sure that all options can be thoughtfully considered. 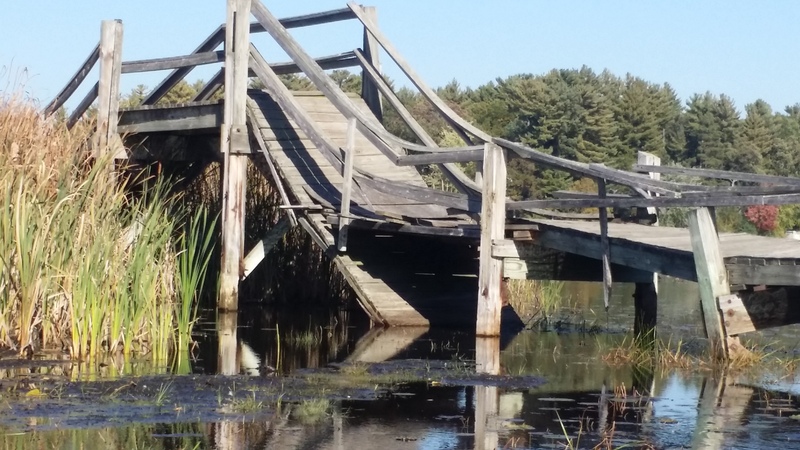 At our last Annual meeting, we decided to issue a request for proposals to remove the bridge and boardwalk. We received a few proposals, but only 1 was within our budget. I have spent the past few weeks checking references. The GLWD will consider whether or not to engage in contract negotiations to remove the bridge and boardwalk at our meeting this coming Sunday. I am optimistic that we will move forward to remove the bridge and boardwalk this coming winter and in doing so, we will make our lake safer for the people who use it and the diverse wildlife, such as Sandhill cranes, that nest nearby. This is one of many reasons why small local government matters. In an era, when out state legislature and Congress seem to dominate government decision making, I am proud to be a key part in leading the Goose Lake Watershed District’s effort to preserve this diverse ecological paradise. Next Which Students Overcome Suspensions?